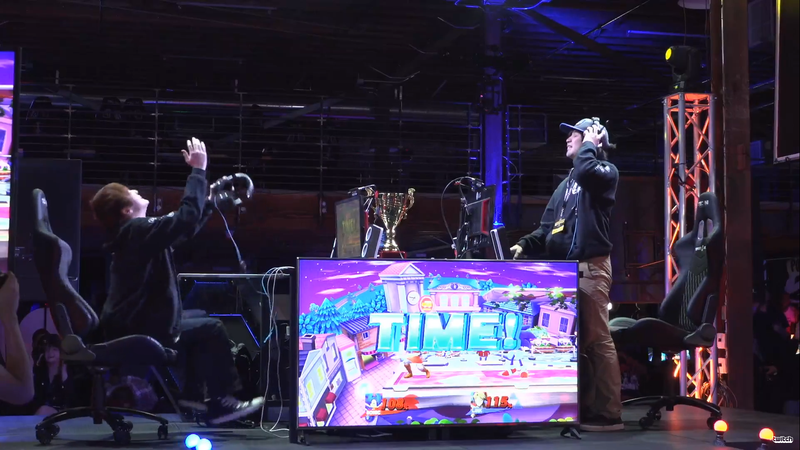 Two masters of their own character met last night in the 2GG Championship, as the clash between the best Sonic and best Link came down to the last second and a single hit’s worth of damage. Kengo “Ken” Suzuki and Isami “T” Ikeda are two of Japan’s biggest representatives in these Super Smash Bros. For Wii U championships, representing both their region and character of choice on the international stage. While Ikeda’s Link has plenty of tricks up his sleeves, Suzuki’s Sonic is one of the more annoying playstyles to beat—a slippery hit-and-run character well-suited to time-outs and keep-away. In the deciding match of the series between these two, it came down to the very last second. As Suzuki went under the stage and back up to the other side, he uses his up-B move to try and grab the ledge, giving him a few precious seconds of invincibility. But Suzuki’s move doesn’t snap to the ledge like it should, and whether according to plan or not, he floats in the air for a brief second right in front of Ikeda. In that moment, all Ikeda had to do was hit Suzuki and the game would have likely been his for the taking. But Ikeda, like the commentators and spectators, didn’t expect that overshot of the arena. 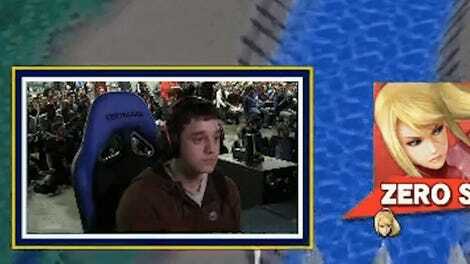 In Super Smash Bros., characters usually snap to the ledge when they leap towards it, except this one time. So Ikeda is left watching as Sonic flits in front of him and lands back on the ledge, losing even more time and, eventually, the game. Suzuki moved on to the top eight, a spot in the championship bracket secured, while Ikeda goes home at 4th in the group. The games start up again later today, as the group stages continue to whittle the pack down to the very best that Smash has to offer in this year-end championship.